Remember when G.O completed his first 100 days and it felt so good? Well, how does 700 feel?!! I would say it feels pretty spectacular with the only thing topping it being the completion of 730 days and his official discharge. I cannot believe G.O’s service is almost complete. I also cannot believe I am actually writing a 700th post! Nothing fancy here today other than to celebrate this milestone and to thank those of you who have been on this long, long journey with me. Your continued love and support for this amazing artist of man has made this labor of love worth every moment. We are almost there, G.Oddesses! 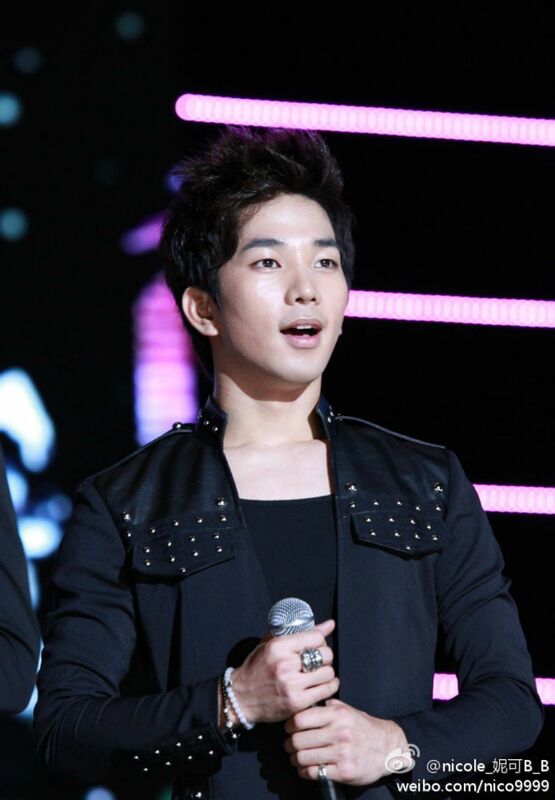 In one month G.O returns and, in one month and seven days he will meet with his beloved fans. Categories: G.O Military Discharge, MBLAQ Musings, The G.O Files | Tags: 700 Days of Service, Celebrating 700 Days, G.O's Military Discharge, G.O's Military Service, 정병희, 지오, Jung Byung Hee, Jung Byung Hee images, MBLAQ G.O, MBLAQ G.O images | Permalink. Categories: The Fangirl Adventure Log | Tags: 2018, Countdown To Discharge, G.O images, G.O's Military Discharge, Happy New Year, 정병희, 지오, Jung Byung Hee, Jung Byung Hee images, JungG.O, MBLAQ G.O images | Permalink. Sometimes a Vocal Virtuosity moment shows up when I least expect it. So as you all know, I joined the MBLAQ party train late in the game. As a result, I missed a lot. A-LOT. Even if G.O had to complete four years of military service I still do not think that would give me enough time to see, hear and experience everything he has done these past ten years he has been living his dream as a singer, composer and actor. There is SO MUCH. I love it of course as it is keeping me busy while he is away. So today I discovered something I had not seen (or heard) before and I knew immediately that I wanted to secure it in the Vocal Virtuosity archives. I know all of you dedicated MBLAQ-philes remember the ETN Entertainment News Interview back on 23 June 2010. 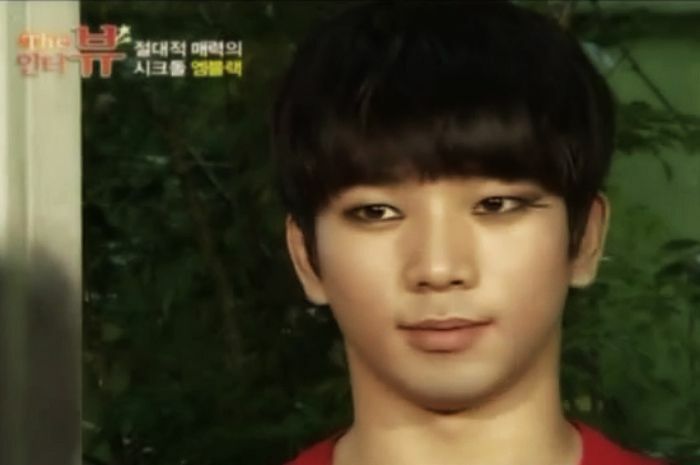 You also know then that even if it was brief, G.O covered some Justin Timberlake. Categories: G.O Military Discharge, MBLAQ Musings, The G.O Files | Tags: ETN Entertainment Interview, G.O, G.O Cover Songs, G.O images, G.O Interview, G.O on Television, G.O's Military Discharge, G.O's Military Service, 정병희, 지오, Jung Byung Hee, Jung Byung Hee images, Justin Timberlake, MBLAQ Cover Songs, MBLAQ G.O, MBLAQ G.O images, MBLAQ G.O Interview, MBLAQ G.O on Television, Vocal Virtuosity | Permalink. If you have been taking this countdown journey with me these past 555 days (and even visited well before then), you know how much I love to talk about G.O’s beauty ~ both inner and outer. Yeah, it is pretty much a mainstay here mostly because I never grow tired of talking about it, and also because he consistently gives me reasons to celebrate his gentle but ever potent beauty. I know I have become redundant but still, it will never stop me from saying it one more time! Maybe I need to create a new vocabulary or language designed just for him you know, to spice things up. How very Tolkien of me! That sounds too complex actually and I rather like to keep it simple! Today is a Fan-Camming Friday day and I decided I am going to keep it short and simple on the cam end, but supplement the post with a bounty of G.O’s beauty captured at Music Bank Hong Kong on 23 June 2012. Categories: G.O Military Discharge, MBLAQ Musings, The G.O Files | Tags: G.O, G.O images, G.O in concert, G.O in Hong Kong, G.O on stage, G.O's Military Discharge, G.O's Military Service, 정병희, 지오, Jung Byung Hee, Jung Byung Hee images, MBLAQ G.O, MBLAQ G.O images, MBLAQ G.O in concert, MBLAQ G.O in Hong Kong, MBLAQ G.O on Stage, Music Bank Hong Kong | Permalink. 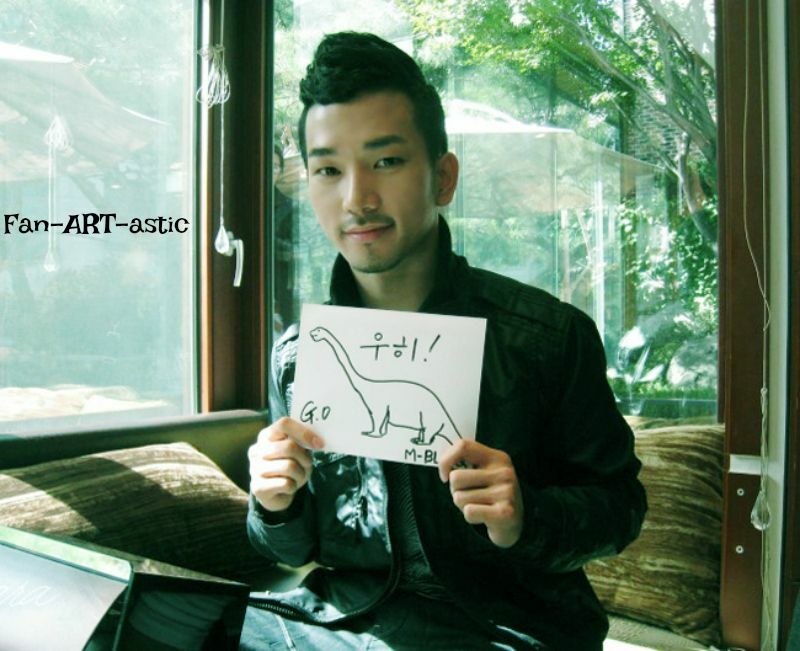 I think my desire to start posting more fan art is so I can look at that adorable picture of G.O up there with his dinosaur drawing! He just looks so cute and the overall composition of the picture is very warm and inviting. The soft pillows, the beautiful trees, the way the sunlight is filtering through the windows. It kind of sets the stage for art, doesn’t it? Today’s offering comes from Russian artist, Lera Pak. 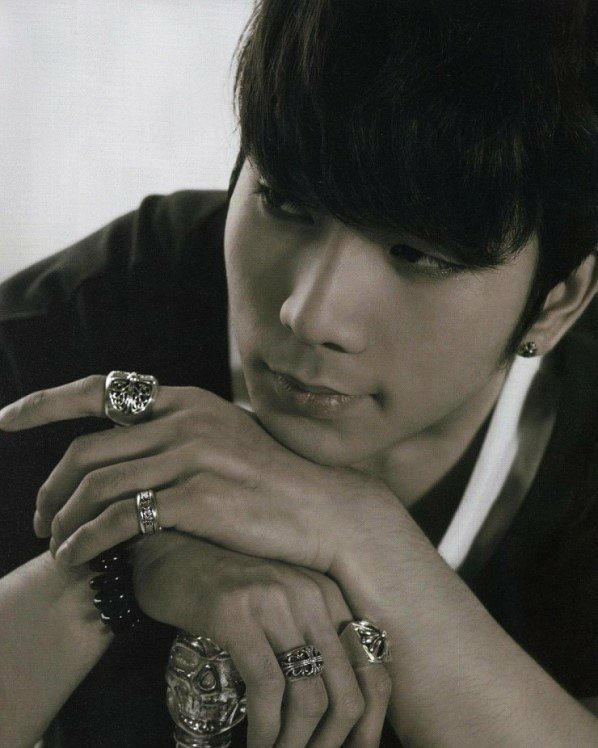 Categories: G.O Military Discharge, MBLAQ Musings, The G.O Files | Tags: G.O, G.O Fan Art, G.O images, G.O's Military Discharge, G.O's Military Service, 정병희, 지오, Jung Byung Hee, Jung Byung Hee images, MBLAQ G.O, MBLAQ G.O Fan Art, MBLAQ G.O images | Permalink.